It was almost five years ago that I first sampled the ultra-wide monitor space - a resolution that puts your aspect ratio at 21:9 over the standard 16:9 most monitors are today. Gaming and technology has progressed quite a bit since then - with resolution, design, and refresh rate all improving. So when I got the chance to check out the latest Ultra-Wide gaming panel from AOC, the 35” AG352UCG6, I jumped at the chance. First let’s talk about the tech specs of this monitor. The first thing you’ll notice is an 1800R curve to the display, this isn’t a “flat panel” in the traditional sense. The numeric rating for curvature has to do with the radius of the display if it were to extend out - the higher the number the more curved the display. What does this mean for gamers? 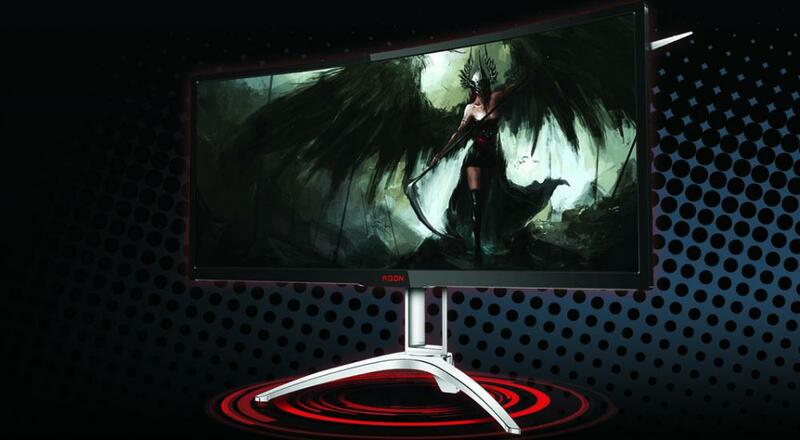 In essence due to the size and curve of the monitor the display “wraps” around your peripheral vision giving you a much more immersive experience. The adjustable stand provides a solid base for the monitor, with a tripod like setup, and there’s standard 100x100 VESA mounts for wall or monitor arm mounting. You’ll get an HDMI input and a Displayport input on the AG352UCG6 with the display port allowing you to overlock the VA panel to 120Hz in Windows and Games. The 4ms response time also supports G-Sync for silky smooth playback in many games. The contrast ratio is rated at 2500:1 and there’s various built in features to help improve that including AOC’s “shadow control” and various baked in color settings like 100% sRGB color reproduction. All of this is displayed on a 3440x1440 resolution called WQHD. Build quality of the display is solid, with heavy duty plastic and metal casing housing the panel. The bezels are a little thicker than I would like and the AGON branding a little bolder than it should be - but overall this is a solid monitor. 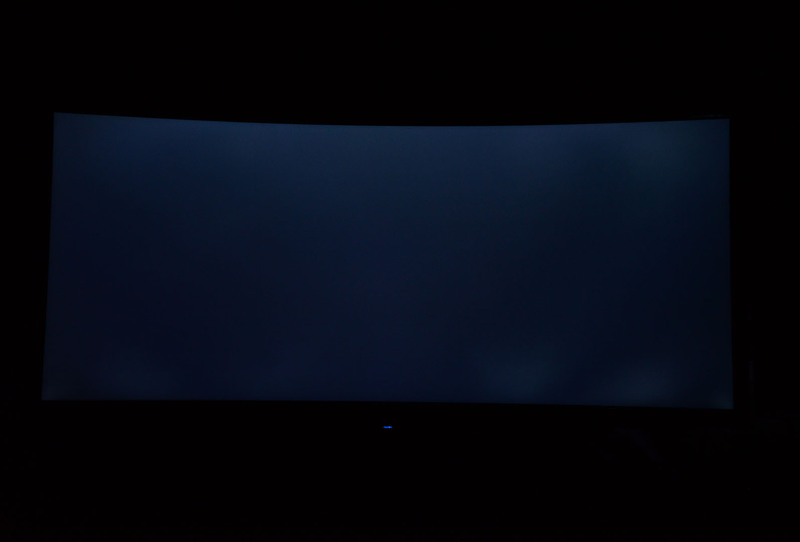 One way many folks measure the build quality of a monitor is how even the backlight is on the display - something you can test by looking at an all black screen in the dark. As you can see, everything looks fairly even on the AG352UCG6 which should mean nice balanced colors and lighting throughout. With the technical specs out of the way - let’s talk about overall performance. Having come from a 4K G-Sync IPS monitor I was worried about a noticeable drop in quality, but the VA panel performed fairly well. IPS technology is considered to have more accurate colors and a wider area of view while VA and TN panels often offer faster response times at the expense of the former features. The trade off of screen performance for some quality was fair in my opinion and I really liked working with Windows and playing games at an ultra-high refresh rate like 120Hz. One oddity, the monitor out of the box requires the user to “overclock” the panel to 120Hz and then adjust the windows settings accordingly. Ironically it wasn't gaming that provided the first wow moment for me, I started to use this monitor for my day to day work in Excel and REALLY liked the extra width it provided. I know, nerd alert. All these bells and whistles are worthless if the games you play don’t properly support the ultrawide resolution and 120Hz refresh rate. Here’s a table of all the games I checked out - everything from AAA titles to Indie games. As you can see, almost everything worked flawlessly. The best part for co-op gamers? Split screen games on the monitor basically give you two full displays to work with. Divinity: Original Sin 2 was an extreme pleasure to play on this display - not only providing the extra screen real estate, but looking gorgeous and silky smooth at the same time. In some games it almost felt like cheating thanks to this monitor. Fortnite provides quite the wide angle of view allowing you to see around corners and get the one up on someone. Strategy games were also a real treat - with titles like For The King and Civilization VI providing an expansive view of the board in front of you. But it’s the co-op titles I mentioned above where players benefit the most - whether it’s split screen or shared screen. X-Morph: Defense’s fast pace and split screen just felt natural on the display, and a shared experience like Heroes of Hammerwatch allowed players to remain almost untethered. For every game I tried a myriad of modes on the monitor - out of the box and AG352UCG6 provides numerous color and gaming enhancements that are available via the on screen display. Eventually I stuck with the sRGB color mode and the "gamer" setting for the Game Mode. Colors are rich and bright and there's a solid perceived contrast ratio. It's one of those things that unfortunately, you can't convey in pictures to someone because they are always at the mercy of their own display. There's a lot of good here, but there's also a few nitpicks. The VA panel means you need to sit in the “sweet spot” for gaming - otherwise the colors will start to wash out. This makes it difficult for couch co-op gamers to both enjoy the split-screen support as mentioned above. The OSD controls are a bit finicky too, with a toggle joystick used to navigate and select under the center of the display. Finally there’s LED support with a light bar underneath and a few LEDs behind the monitor. These only display red, green or blue LED lights in three levels and are mostly just distracting. In fact - the monitor ships with them off by default. Coming in priced at $1000 the AOC isn’t cheap by any means, but, it’s one of the cheapest you’ll find at this size for the feature set it contains - namely G-Sync, 120Hz and 1440P resolution. Dell’s Alienware 34” with comparable features comes in at $1500 and Acer’s Predator X34 is available online for around $1200. So while you may have sticker shock at first, if this is the market you are in, the AOC is a display to seriously consider. Page created in 0.9050 seconds.